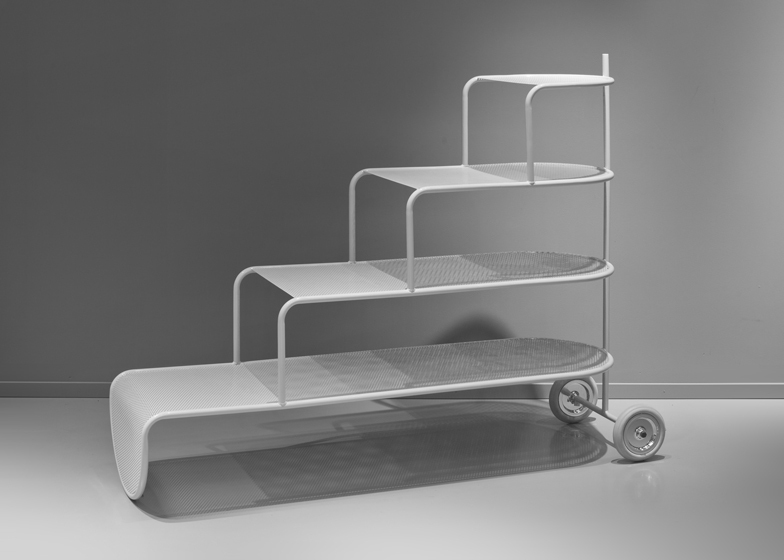 Swedish firm Note Design Studio devised a set of mobile metal trolleys to display shoes at this store for footwear brand Camper. 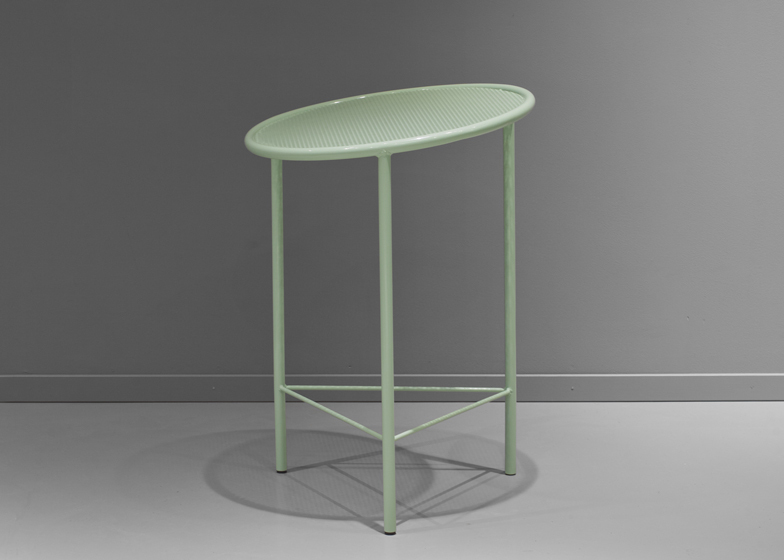 Display furniture at the shop in Malmö, Sweden, is made of perforated metal painted in pastel shades, and features wheels and handles for easy maneuvering when the shop is reconfigured. The stockroom at the back of the space comprises 2000 shoe boxes housed in an archive of rolling bookshelves on rails, clad with mirrors on the ends and operated with big red winding handles. 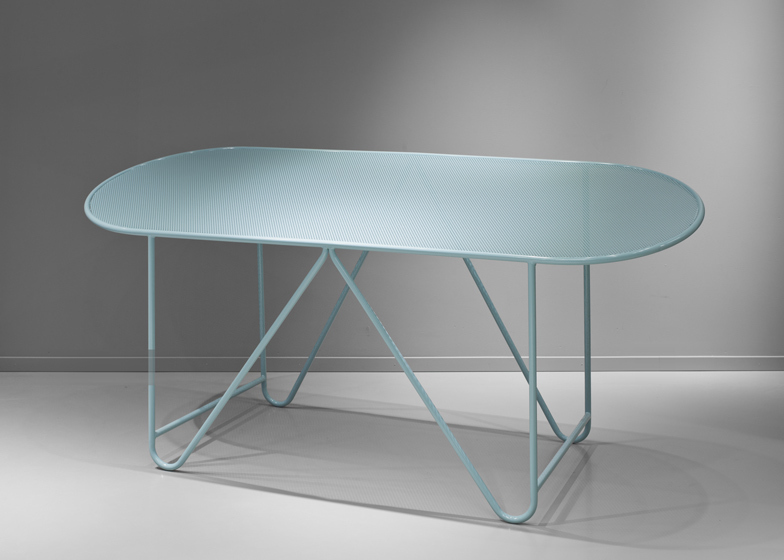 The space also features an arched mirror leant against one wall, a cluster of Note Design Studio's Trapets for Swedish brand Zero and their Bolt stool for French brand La Chance. 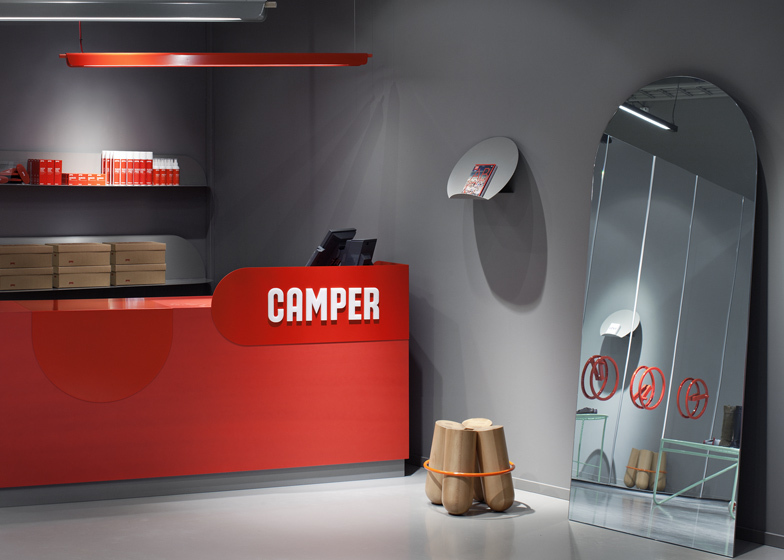 The walls are painted in dark grey to contrast with Camper's distinctive red branding. 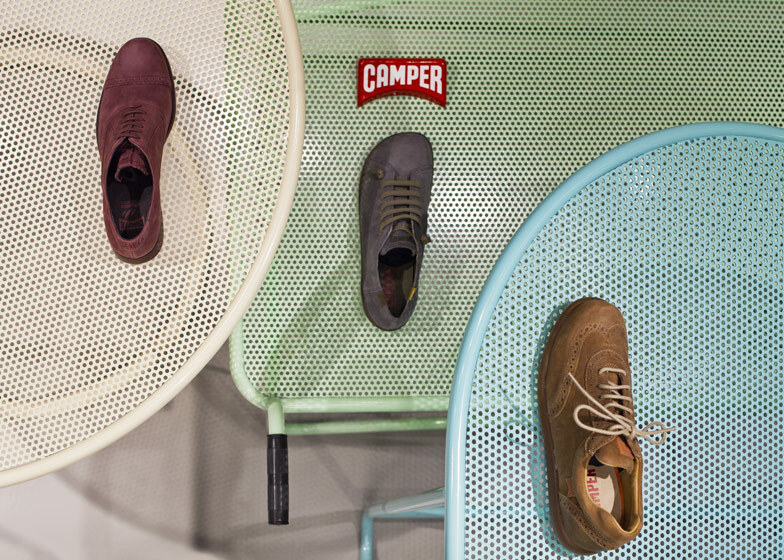 "We created a space that conveyed the wayward energy in many of the Camper shoes, but still an environment where the products remained in focus," said Cristiano Pigazzini of Note Design Studio. 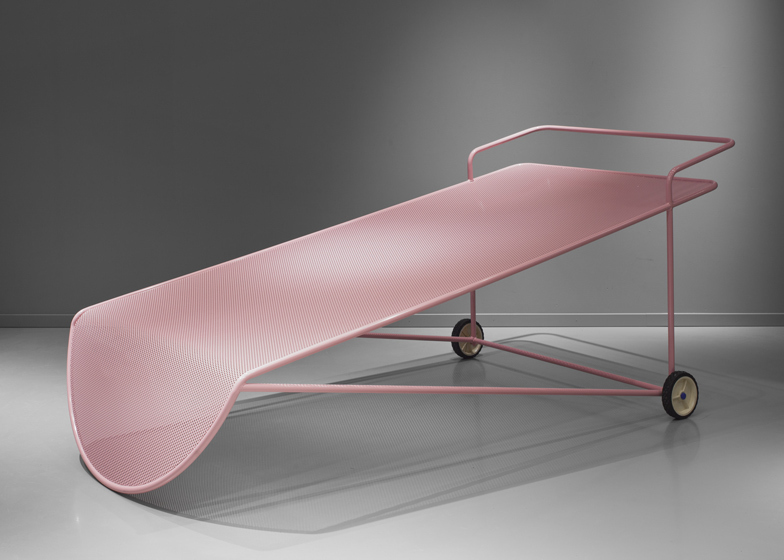 "Together, the various objects create a calm, inviting whole that can be easily altered just by manual power." 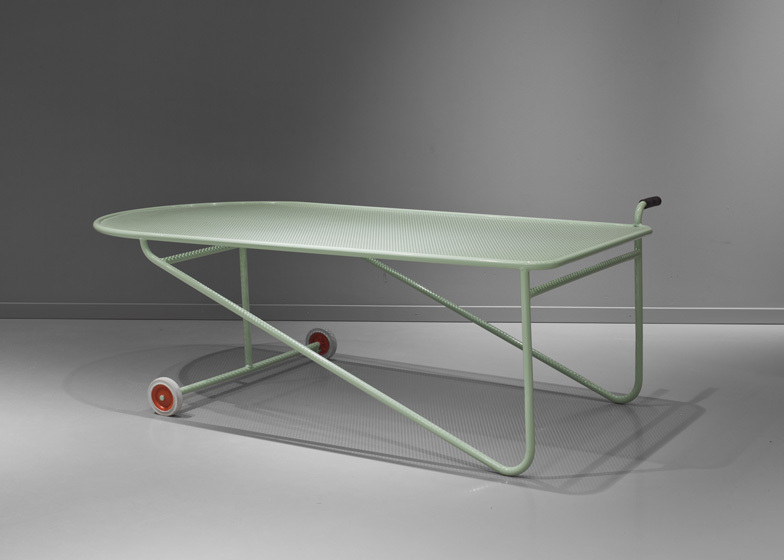 See Note Design Studio's collection of furniture inspired by camping and field trips in our earlier story. 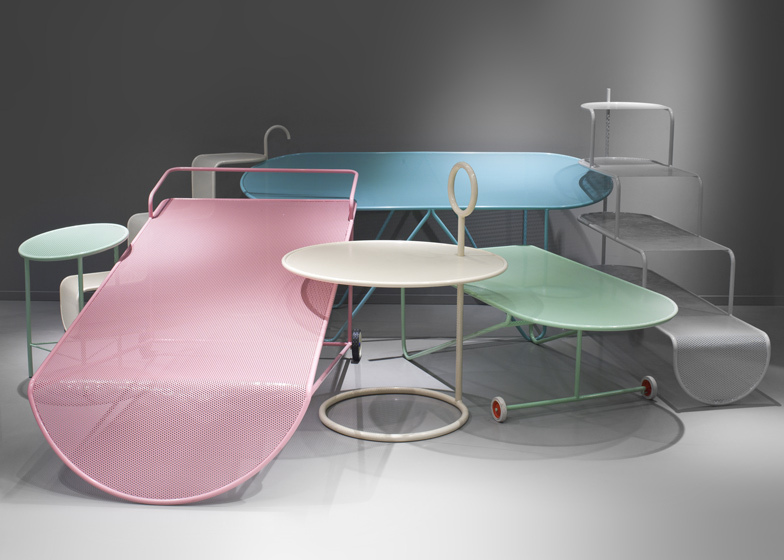 Photos are by Felix Gerlach.